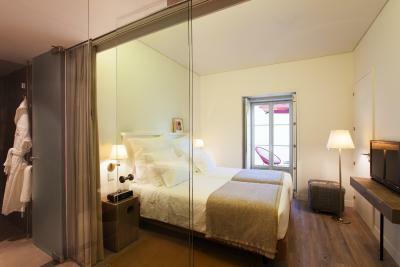 Lock in a great price for Memmo Alfama - Design Hotels – rated 9.2 by recent guests! Breakfast was excellent and incredibly friendly staff. Great location. Rooftop bar is great! Rooms are okay. Beautiful rooftop area. Superior breakfast buffet. Excellent location. Cool design- especially the shower. Memmo Alfama is that gem for a business traveller: completely sufficient (bar, with bar food), and you aren't in a big skyscraper. 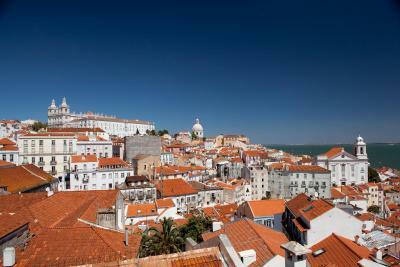 Alfama is where people come to get lost in old Lisbon. 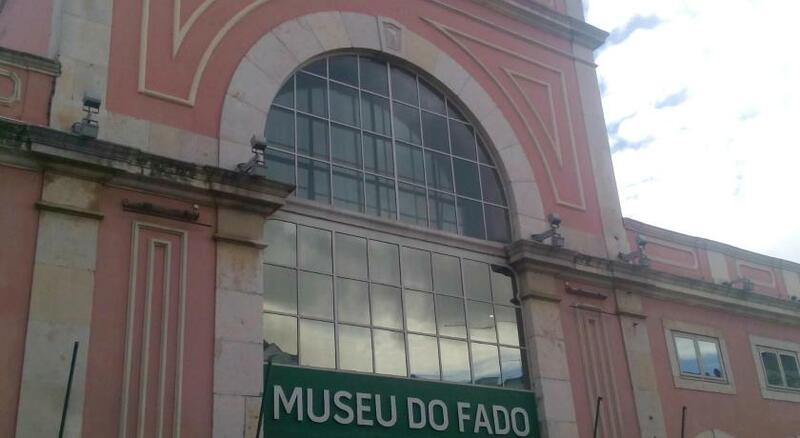 You should come for business, because you'll want taxis if you have luggage or if it's rush hour — the metro is a hike, and Alfama is a famously hilly neighborhood. Location is super convenient as it's just a short walk to stores, museums & restaurants. The staff were warm and helpful, thanks for the great stay. Great location. 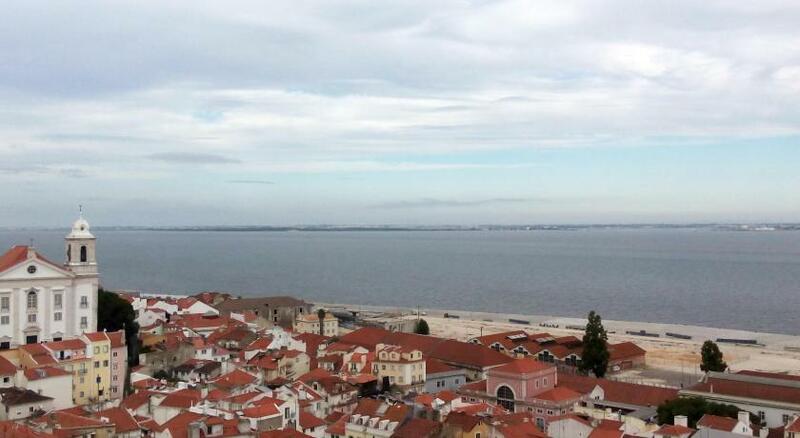 Beautiful rooftop bar with view over Tagus River and AlFama. Breakfast was very nice with a great variety of choices. Super comfy bed and an amazing multi level deck for drinks and breakfast outside with a fantastic view of red tiled roofs and arriving cruise ships. The eggs were yummy and the beds were comfy. The hotel staff was warm and friendly. We also enjoyed the free walking tour of the city - what a nice bonus. Loved the facilities and the pool deck. Amazing staff with a great breakfast. Would definitely come here again. 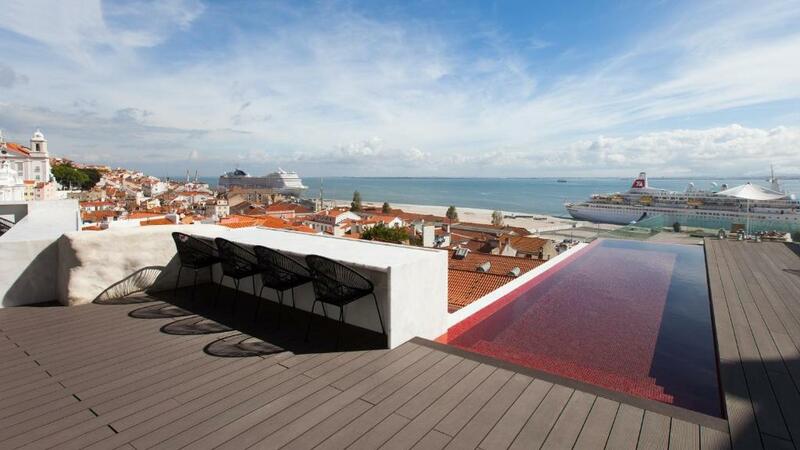 Memmo Alfama - Design Hotels This rating is a reflection of how the property compares to the industry standard when it comes to price, facilities and services available. It's based on a self-evaluation by the property. Use this rating to help choose your stay! 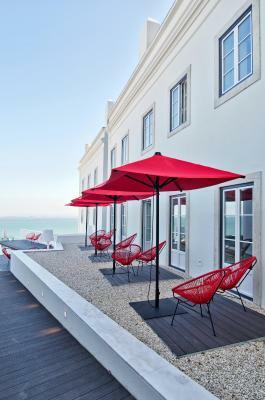 Located in a refurbished, late 19th century building in the quaint Alfama district, Memmo Alfama – Design Hotel offers a 24-hour reception. 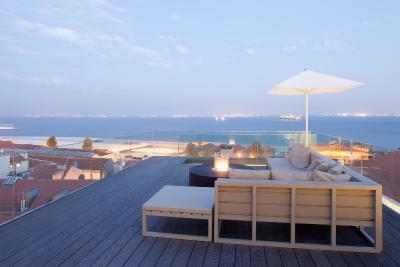 It features a wine bar, an outdoor pool and Tagus River views. 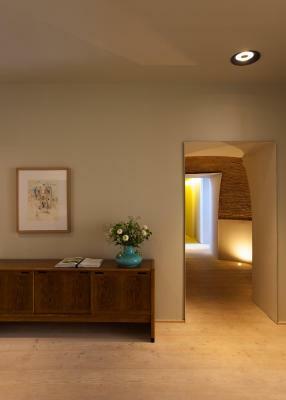 Rooms at Memmo Alfama have a design décor and include the latest equipment, as an iPod docking station and a LED flat-screen TV. Beds include Egyptian linen and 6 pillows. The bathroom comes with 100% cotton towels and free toiletries. A breakfast buffet is served daily in this design hotel, and there is a 24-hour honesty refrigerator with snacks and drinks. 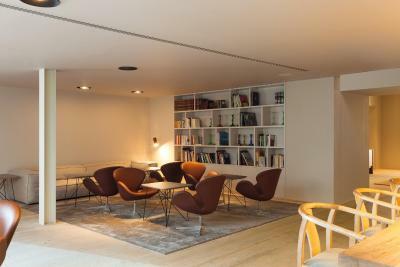 The wine bar on the 1st floor offers a perfect setting to enjoy a Portuguese wine and light meals while listening to Portuguese music and overlooking Tagus River. 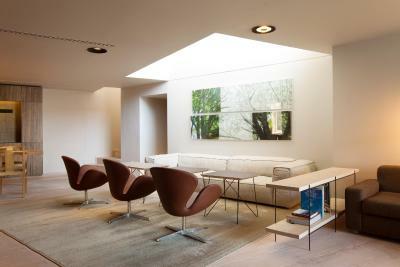 On arrival guests will find a comfortable living room where they can check-in. 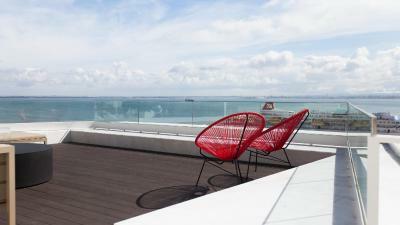 A concierge is available to give insight tips to explore the neighborhood and Lisbon. 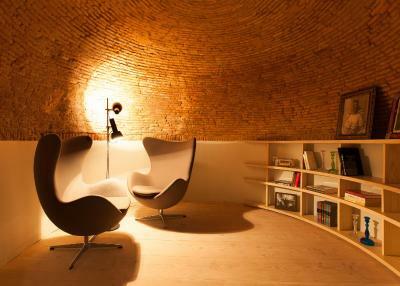 This Memmo Alfama – Design Hotel celebrates Portuguese tradition and products. 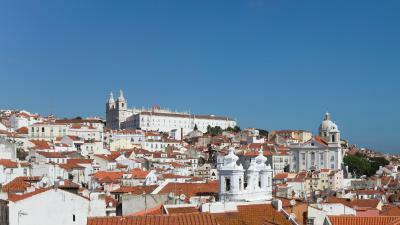 Complimentary walking tours of Alfama are also offered to guests of the hotel, pending previous request and availability. 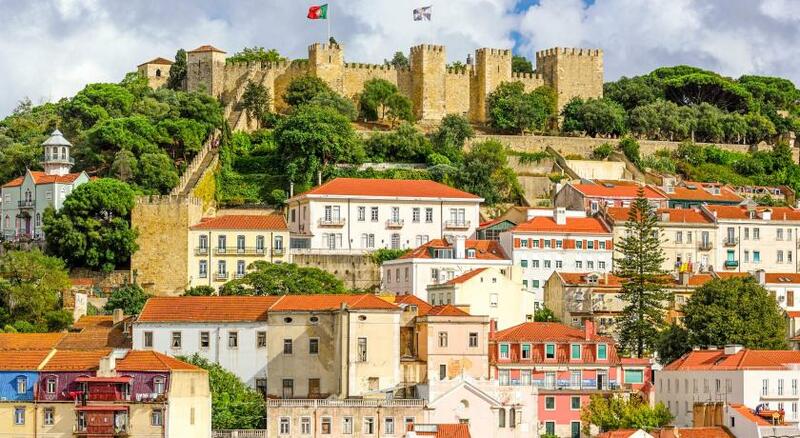 Surrounded by traditional restaurants with Fado music, this design hotel is a 5-minute walk from the panoramic São Jorge Castle. Lisbon International Airport is located at a 15-minute drive. 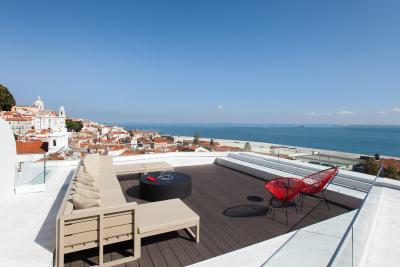 When would you like to stay at Memmo Alfama - Design Hotels? Overlooking the hotel’s patio, this air-conditioned room has an iPod docking station, Egyptian bed linen and 100% cotton towels. A LED flat-screen TV is featured. The bathroom comes with a hairdryer and free Portuguese toiletries. 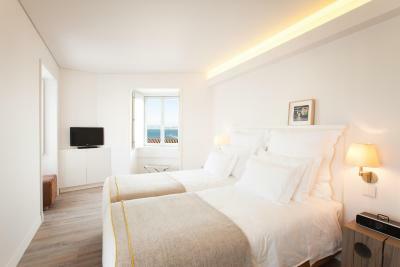 Overlooking Alfama or Tagus River, this air-conditioned room has an iPod docking station, Egyptian bed linens and 100% cotton towels. An LED flat-screen TV is featured. The bathroom has a hairdryer and free Portuguese toiletries. Please note that views are subject to availability. 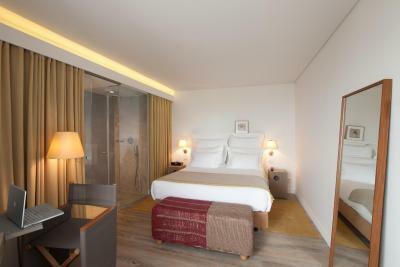 Overlooking Alfama and Tagus River, this larger, air-conditioned room has an iPod docking station, Egyptian bed linens and 100% cotton towels. An LED flat-screen TV is featured. 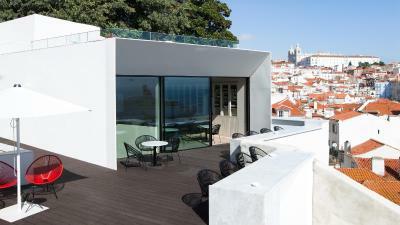 Overlooking Alfama and Tagus River from a small wooden deck, this air-conditioned room has an iPod docking station, Egyptian bed linens and 100% cotton towels. An LED flat-screen TV is featured. Featuring slopped ceilings, this air-conditioned room has an iPod docking station, Egyptian bed sheets and 100% cotton towels. An LED flat-screen TV is featured. The bathroom includes a hairdryer and free Portuguese toiletries.The room has partial views and enjoys plenty of natural light. 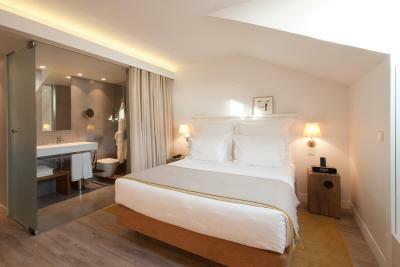 The Mansard Junior Suite is the most spacious accommodations at the hotel and offers a comfortable living room area. It also has a spacious bathroom. 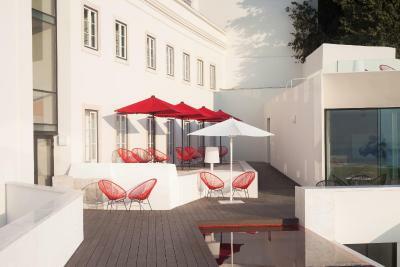 Located at the heart of Lisbon’s traditional and charming Alfama area, the Memmo Alfama is the first boutique hotel in the city's historic area. 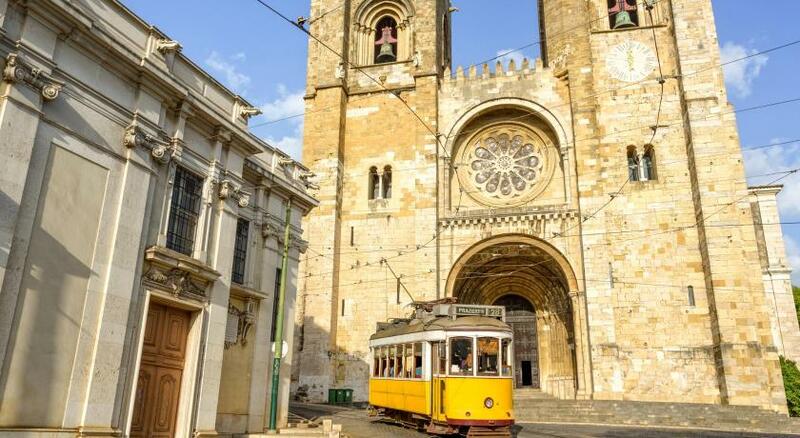 It is just steps away from the Lisbon Cathedral and from the iconic São Jorge Castle. 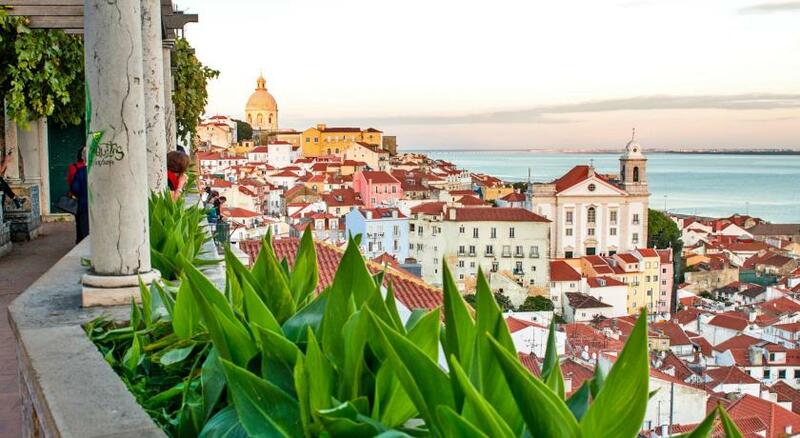 Alfama is the city’s most typical area, with its narrow streets, traditional shops and the world-famous Fado restaurants. 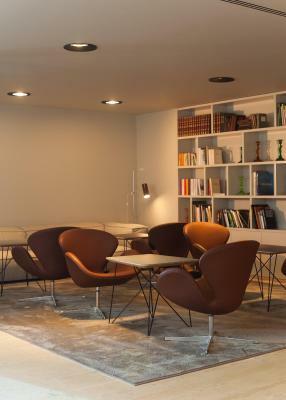 The Memmo Alfama strives to redefine the standards of hospitality in Lisbon, with an authentic and contemporary style, which is seamlessly integrated in the surroundings. 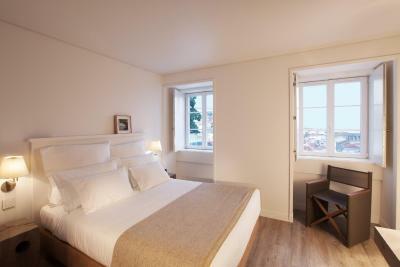 All of the hotel’s 42 rooms provide the special feeling of being in a Portuguese home and overlook the Tagus River. 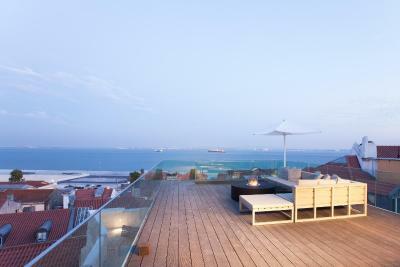 An attentive staff will work to make your visit to Lisbon unforgettable. Great for both couples and friends, the Memmo Alfama is a great getaway for those looking for a quiet break in an authentic and historical neighborhood, surrounded by traditional stone pavements streets and hidden stairways. 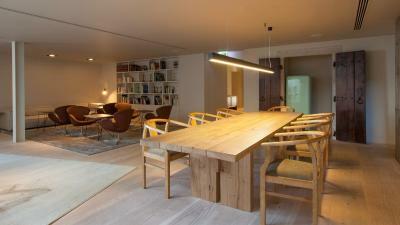 House Rules Memmo Alfama - Design Hotels takes special requests – add in the next step! 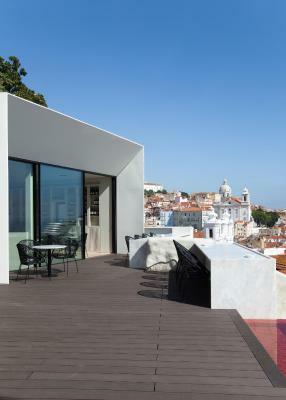 Memmo Alfama - Design Hotels accepts these cards and reserves the right to temporarily hold an amount prior to arrival. Please note that this unit can only accommodate children with 16 years old or older. Our room was small and didn’t even have any draws, so we had to basically live out if a suitcase,which bearing in mind the price they charge for the room is disappointing. The bathroom wall was all glass, so basically part of the bedroom, although there was a curtain you could pull across. This is all very trendy but not having a proper door to the bathroom/toilet meant using it fir certain things while your partner lay in a bed 3 feet away was a non starter! We used the the restaurant toilets downstairs instead. Choice of snacks/dinner could be wider. Would like to see Kettke in room to make tea. great vew from the terrace of the bar. The breakfast service was a bit slow as well as the service for drinks when we were sitting outside. 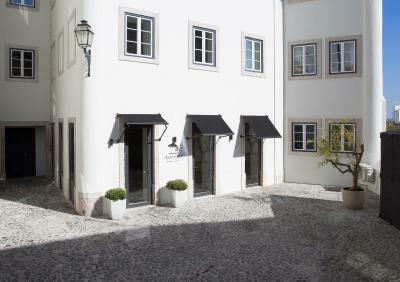 Beautiful boutique hotel in the heart of the historical area of Alfama. We loved the room which had a river view, the rooftop terrace which offered great views over the old town and the river. Great hotel in a great location. Internet was terrible. Almost unusable. The service at breakfast and bar service was not particularly good, it would take a long time to find someone to ask for eggs at breakfast or a drink in the afternoon. I had to ask reception staff multiple times who were incredibly helpful, however shouldnt have had to assist in this area if there were more staff around. However when I spoke to any staff members they were very helpful and very nice. Our room was much smaller than we expected with no view at all. We had the high wall which made the room feel even smaller. We had asked for a room change but was told that it was full. Not enough storage in room. No tea or coffee facilities in room. Room was also on the small side. Room is bit small and breakfast need warm food and fresh coffee from the machines.